This has been quite the project for me. I've learned several things which will be useful in the future, some of them with a good deal of pain. I opted not to use the groovy board this time, but did free-motion loop-d-loops instead with black thread. I'd show you the stitching, but, well, that black thread just disappears and doesn't photograph at all. I did leave the green star points alone, quilting the centers of the star blocks (the poppy print) but not the green. It turned out great - and I'm sorry the camera doesn't render the colours well - as in these photos you just don't get a sense of how gorgeous it really is. 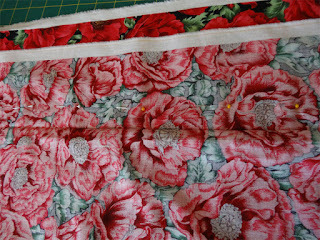 There are 2 panels there, joined carefully to conceal the seam (I mentioned this a couple of weeks ago). Can you see where the seam is? No! You have to look REALLY close to find it. I took great care to match up the repeating pattern in the print, something I will do from here out. I took it to Anna on Sunday, right after I finished the binding (which, by the way, is hot pink - looks great). She's delighted and so am I! 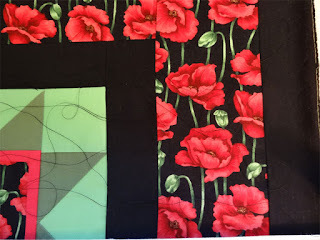 I learned a painful lesson on quilt 52. 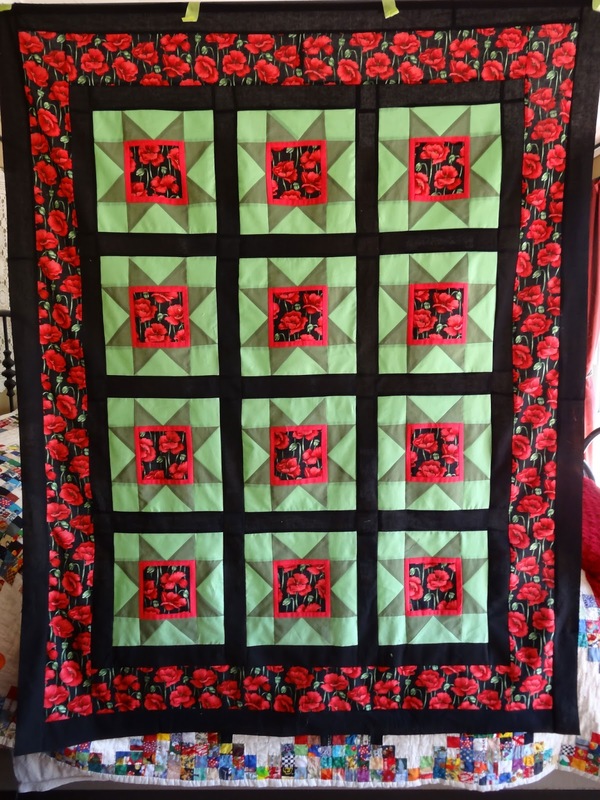 I mounted the quilt on the longarm and got busy stitching. 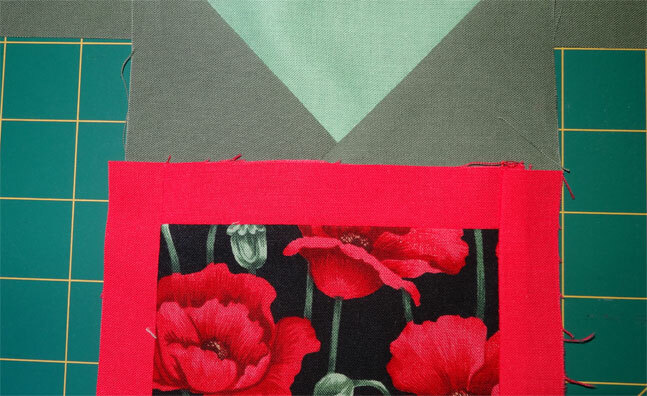 The thread colours I considered for this project were black, red, and pale green. 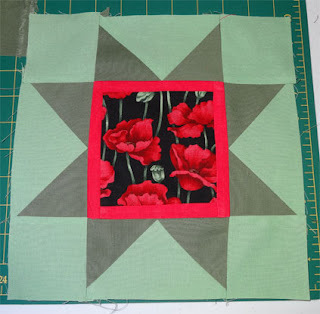 I selected the green because I didn't want the stitching to detract from the points on the star blocks, and I was sure it would "fade" into the poppy print. Well, folks, I was wrong. Dead wrong. After making the first pass across the top, and starting back on the second pass, the thread broke. Far from "fading" into the poppies, that thread was obscuring them! 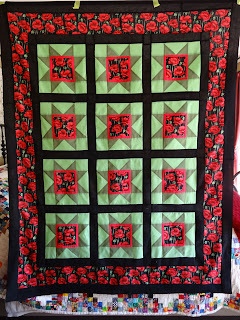 This quilt is for my friend Anna - who loves poppies. 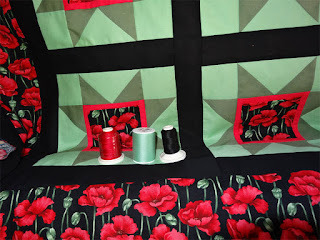 The poppies are the whole point to this quilt, and that light green thread was just overpowering them. 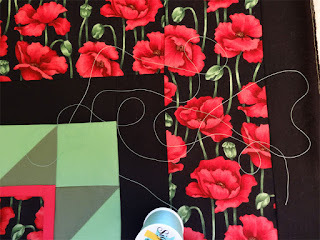 Laying about a yard of thread down, and swirling it around and over the prints allows you to see what is really going to happen, especially with the stippling stitching pattern. 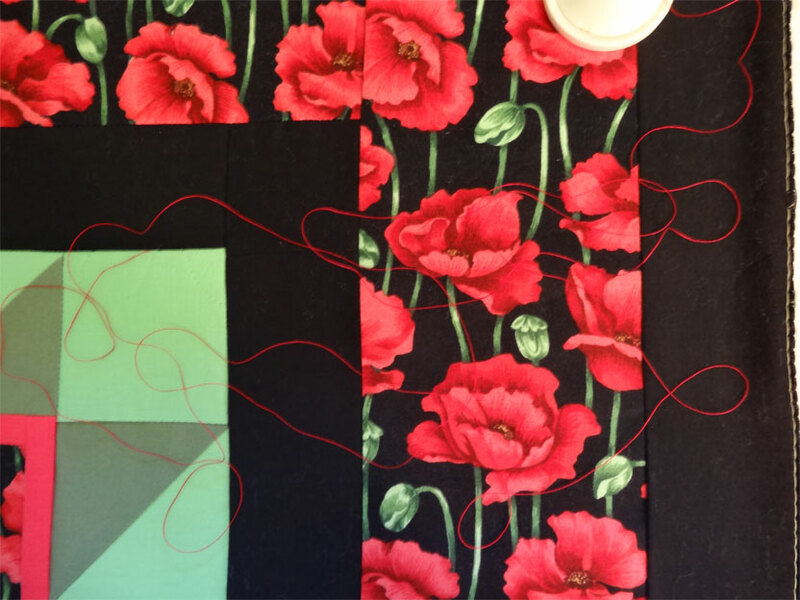 So, OK - what does red thread look like? 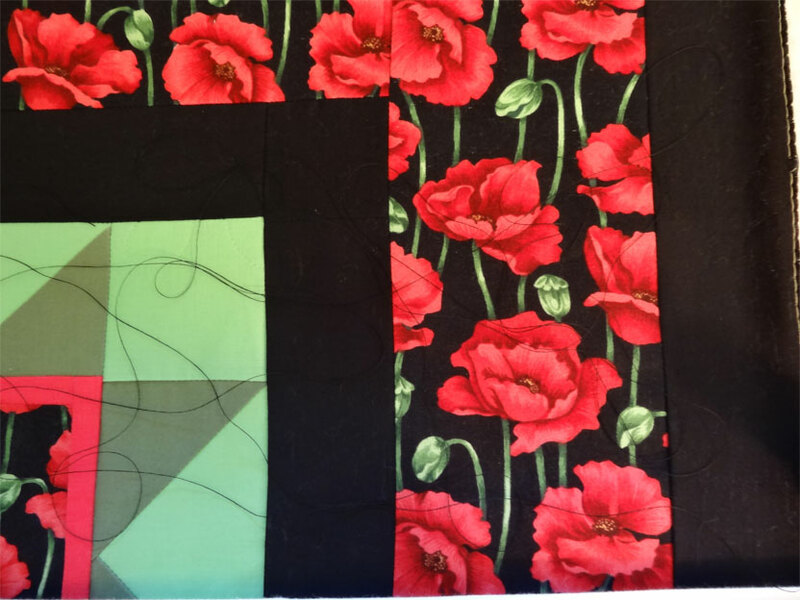 The black is pronounced on the green background, but fades well into the poppies and becomes all but invisible on the black. 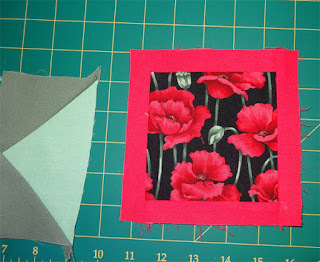 I don't want the quilting stitches to draw a lot of attention, so looks to me like the black thread is the best option. Even so - hm... 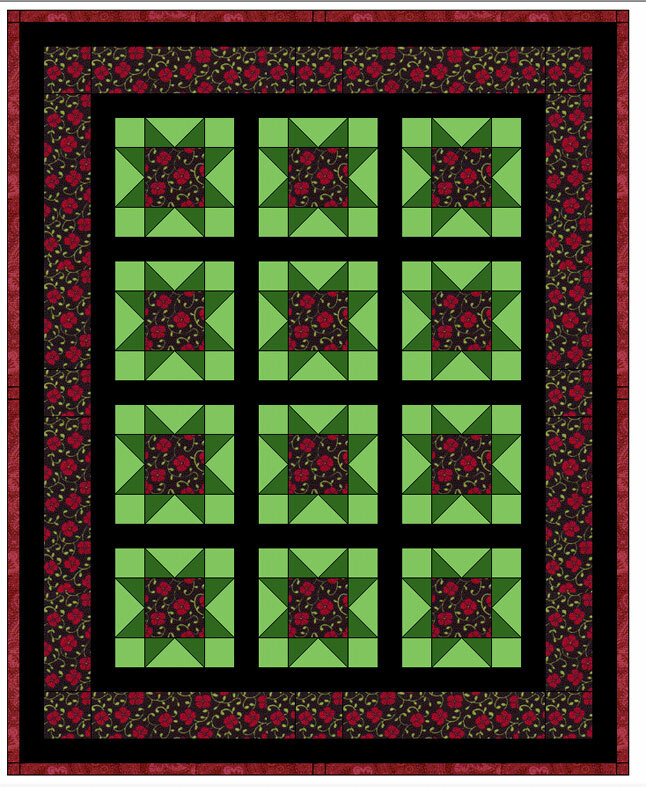 I'm reconsidering how to quilt this. In lieu of the stippling groovy board, this one might be better done in free-motion. 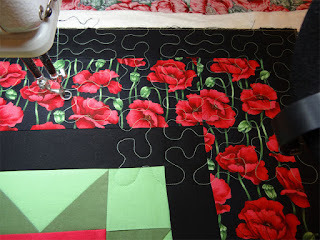 If I do that, I can use the black thread and simply omit quilting in the green blocks altogether. So, yeah. A painful lesson. 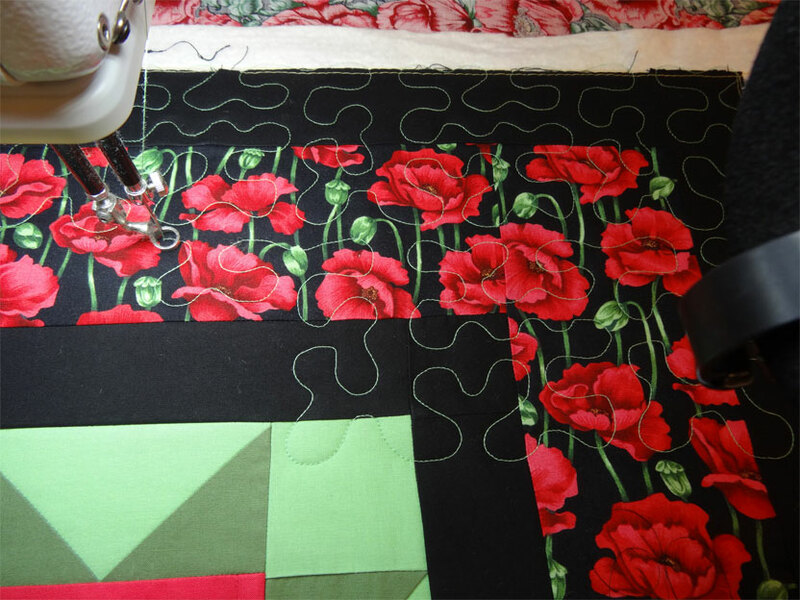 I had no choice but to pick out the quilting I'd done so far. 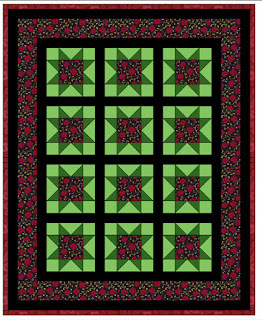 I couldn't keep going with the green, it was wrecking Anna's quilt! Oh... painful. 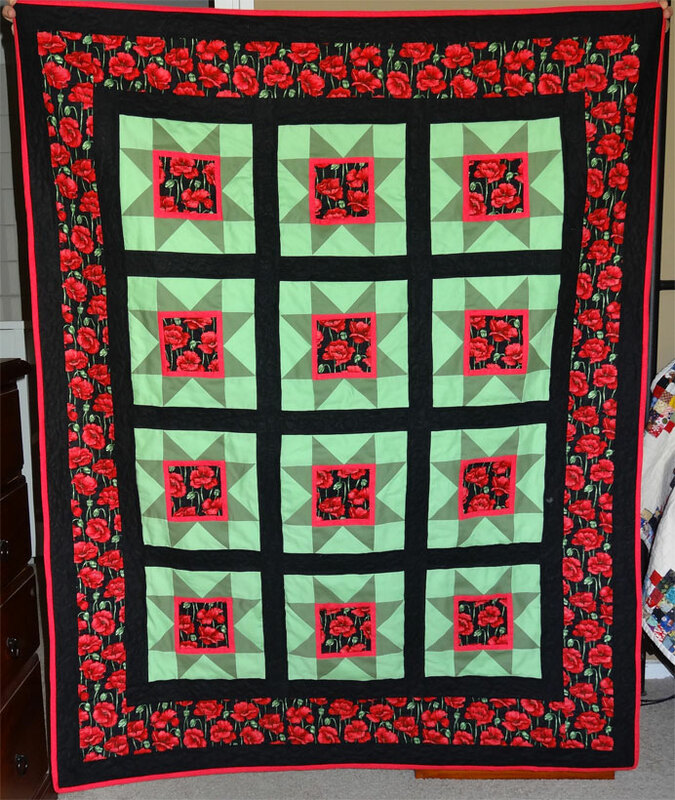 It took 25 minutes to do the quilting, just over 4 hours to pick it out. 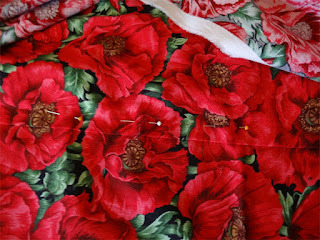 Fortunately, the fabric is high-quality cotton calico. There are no marks left on it after the unpicking. 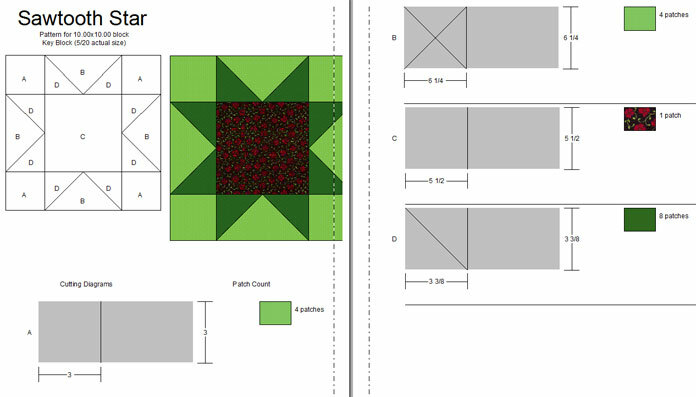 I'm well along the way with the "Sawtooth Star" quilt I mentioned last week. Yeah, it's looking pretty good. So all is good. Or is it?!?! NO! 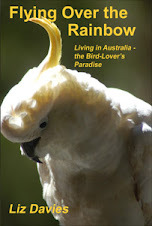 Have a look at the picture below. How this happened, I just don't know, but it's happened to me before. 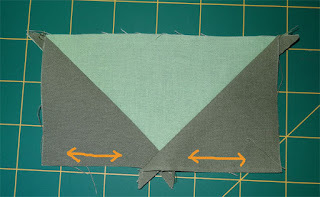 In the photo above you can see that the green triangles segment is just about 1/4" too short! 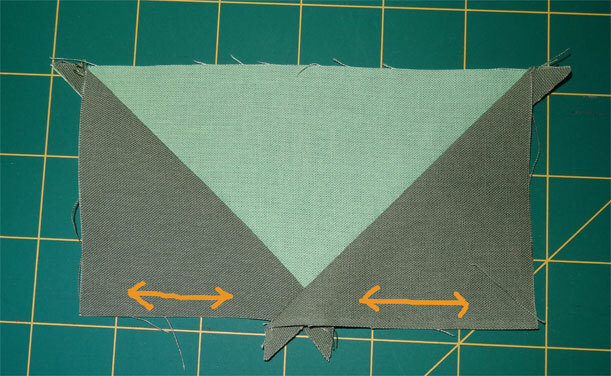 I promise you that I cut the patches out VERY carefully, and did follow the cutting instructions from the design software. But... for some reason... a sometimes it's ended up just a smidge too narrow. I'm not sure what I'm doing wrong. 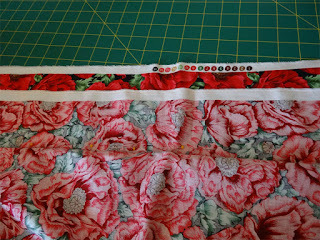 Maybe I was pulling slightly as the on-the-bias edges went together. At first I thought I might have pulled the pink edging on the center block, but no... it's exactly 5 1/2", just as it should be. I just don't know. 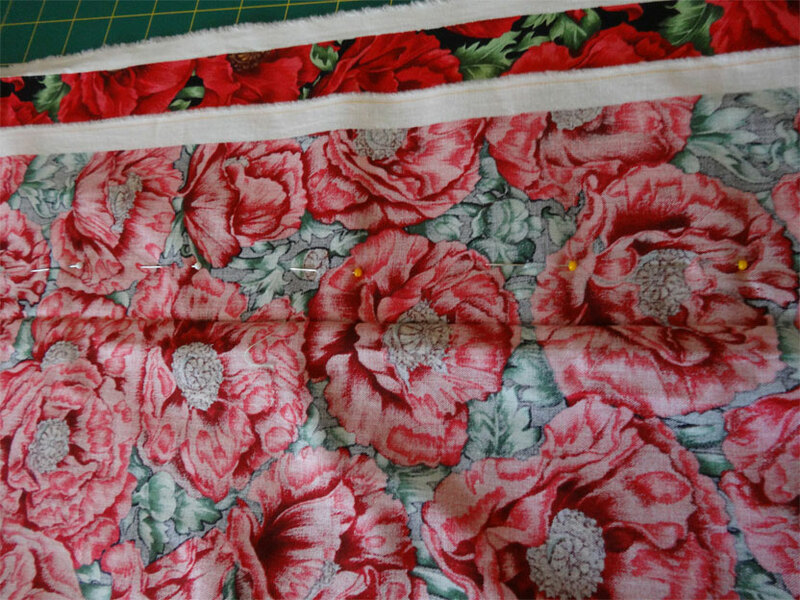 But this has happened on quilts where I wasn't sewing on-the-bias edges. Well - here's the lesson for me. Calico does tend to have a little "stretch" going one way. 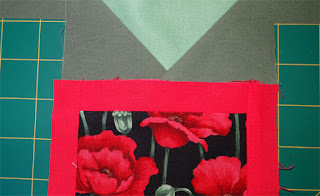 Along the selvage (woven edge), there's no "give" at all. 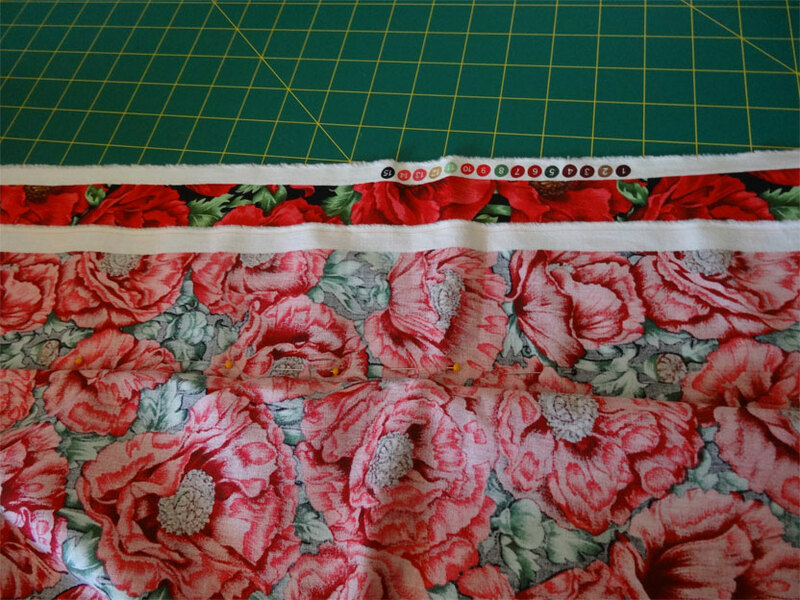 But pull the fabric at a right angle to the selvage, and yes... there's a little stretch there. Not much, mind you, but a little. So, what I'm finding is that it pays to be mindful of that stretch (hm... is there a name for it?) when cutting out, and line it up so that the stretch runs along the edge you think might be the most vulnerable to being "off base". In the case of this Sawtooth Star, that would be the edge running along the center block. Now, when I join the edge to the center block, I've got a little bit of "play" if I need it. The first block came together nicely - so did the 11 others. 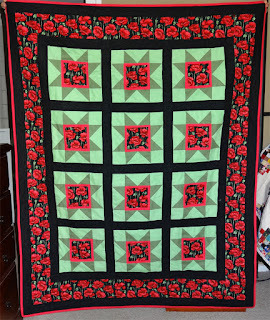 Way back in September, my friend and neighbor Anna asked me to make 3 more quilts for her: one for her granddaughter, one for her grandson, and one for herself. The grandkids visited here in October, so I got those 2 done lickety-split. 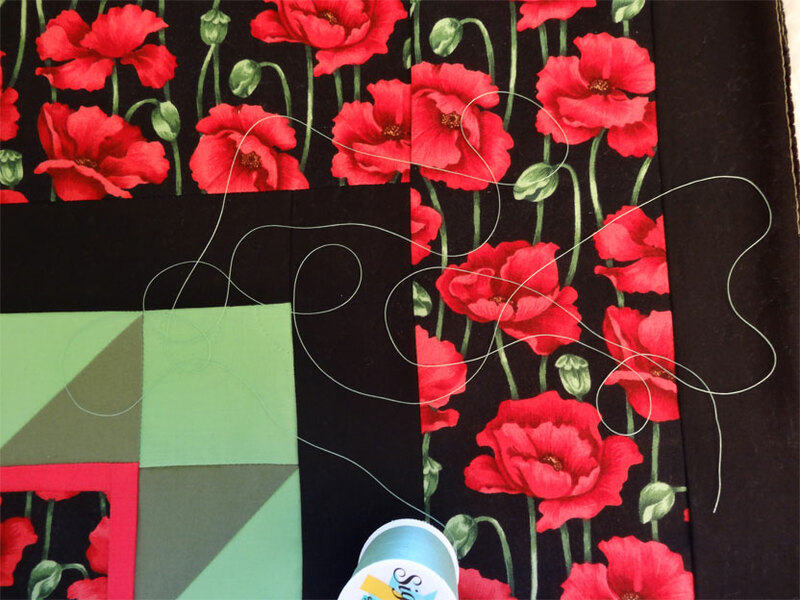 For the grandkids' quilts, we went into the fabric store with designs and yardage notes in-hand. 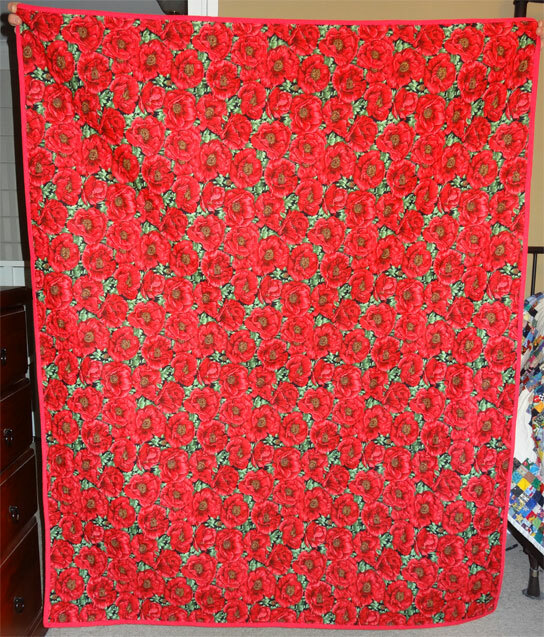 For her quilt, however, well, that's a different story. 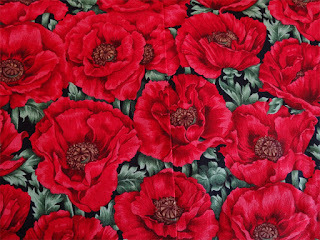 Anna wasn't sure she wanted another quilt until after she saw the poppy prints (below). She was especially wild about the one on the right. 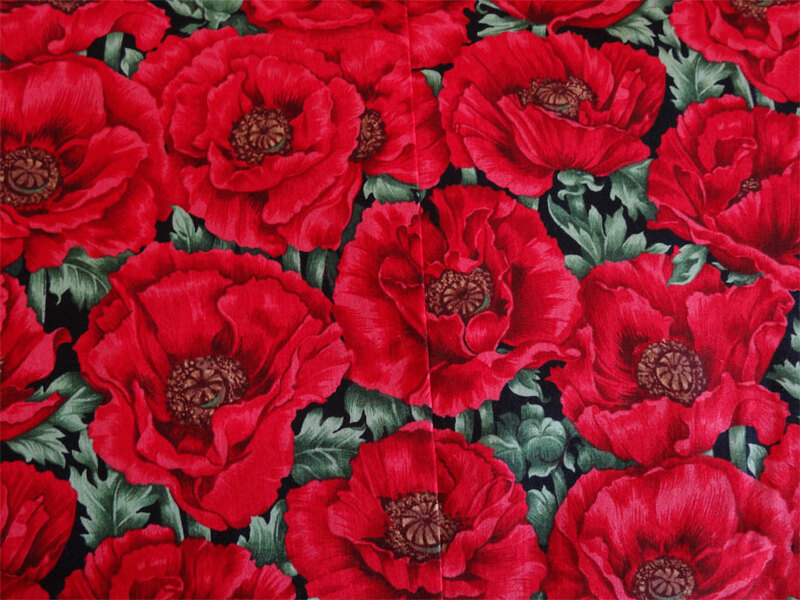 So she bought some of that poppy print we picked up the coordinating solids for the top. The poppy print in the upper left is for the backing. I had a design idea at the time - but, well, every time I got the fabric out and started thinking about doing it, I just lost my enthusiasm for that design and my confidence that the quilt would turn out well. 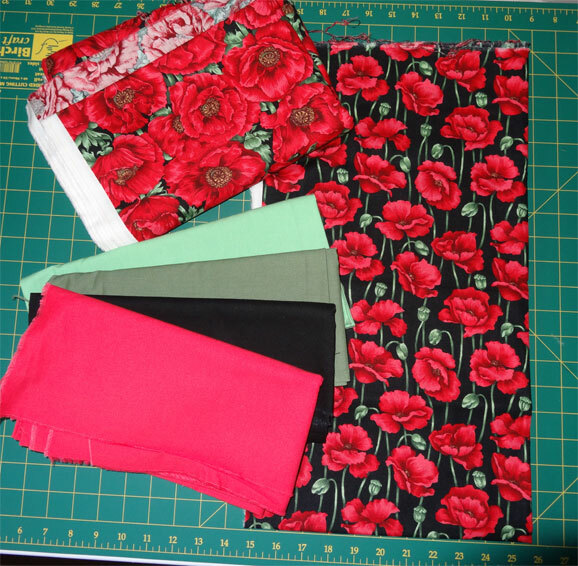 But last week I pulled the fabric out once again, and sat down with my quilting software to come up with a design that I thought would do justice to the fabric. And YAY! I found a block design that will work beautifully: "Sawtooth Star". Do you love it?!?! Me, TOO! 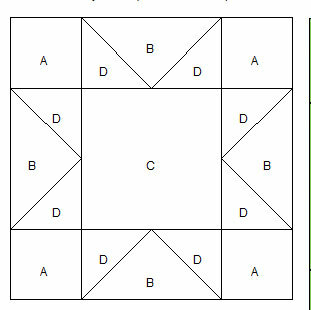 The "A" patches (on the corners) are just 3" squares, and you have to cut 4 of them. And then the "D" patches, made from squares cut at 3 3/8" and then diagonally sliced. Pretty cool, eh? I love how each of the detailed cutting guidelines are accompanied by a little sample of the fabric/colour from the quilt design. And you can see from the diagram exactly how the block is put together with the various patches. It makes it pretty easy, really. The "...Wizard" version is the one I've been using. It's a "reduced version" of Electric Quilt (has fewer features) and costs significantly less. GREAT value for the money, and a good place to start if you aren't familiar with tools like this. It's got a fairly easy-to-understand user interface, and comes with short tutorial videos which give you a great start learning the different features. I've had my copy for several years now and have loved it. 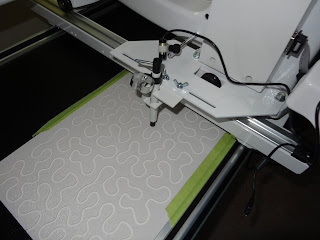 These days I've been toying with getting the more expensive but fancier Electric Quilt. The main reason for this is that it comes with 5,000 fabric prints embedded (Wizard has 3,000) AND it allows you to scan and add your own prints to the digital library. The scan/add feature would have come in really handy for several of the projects I did last year. So maybe... maybe.. in 2016?